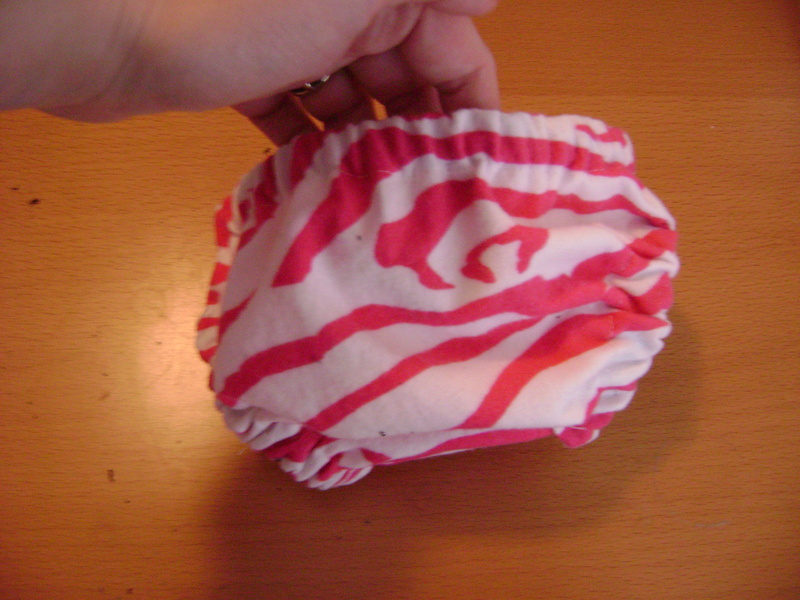 I admit the diaper cover came out cute. I found a free pattern here, which was very easy to follow. However, this was my least favorite baby project. It was the elastic that turned me off on these. The pattern was well done, and construction was easy enough. I am just not an elastic person. It doesn’t look like a clean finish to me. I know you’re thinking, well a zipper just won’t work here. I agree, so I tried it. They did turn out very cute, but I am only making this one pair. The pattern was two pieces and used very little fabric. I love that. 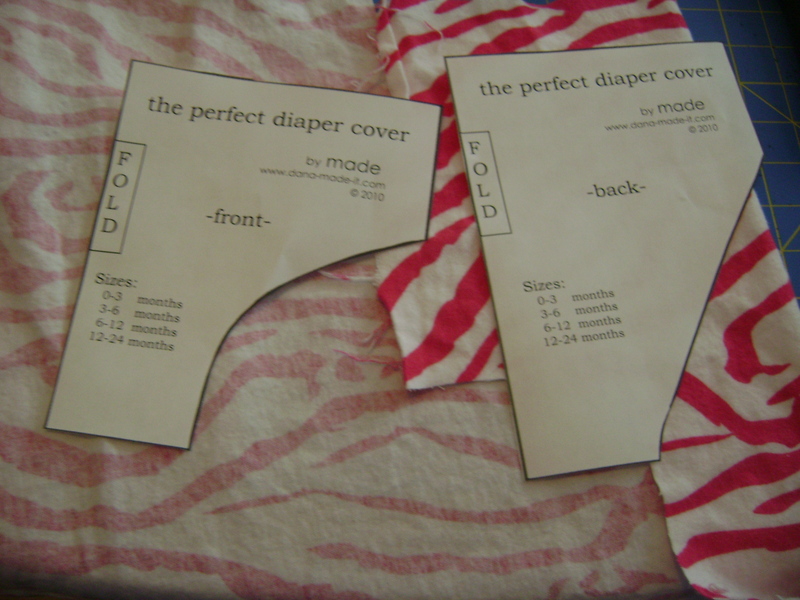 Also, the pattern came in four sizes ranging from 0 – 24 months. I made the 0-3 month size. Here they are just sewn together before the elastic went in. All raw edges were serged, but there is an option to finish them with bias tape on the tutorial that goes with the pattern. 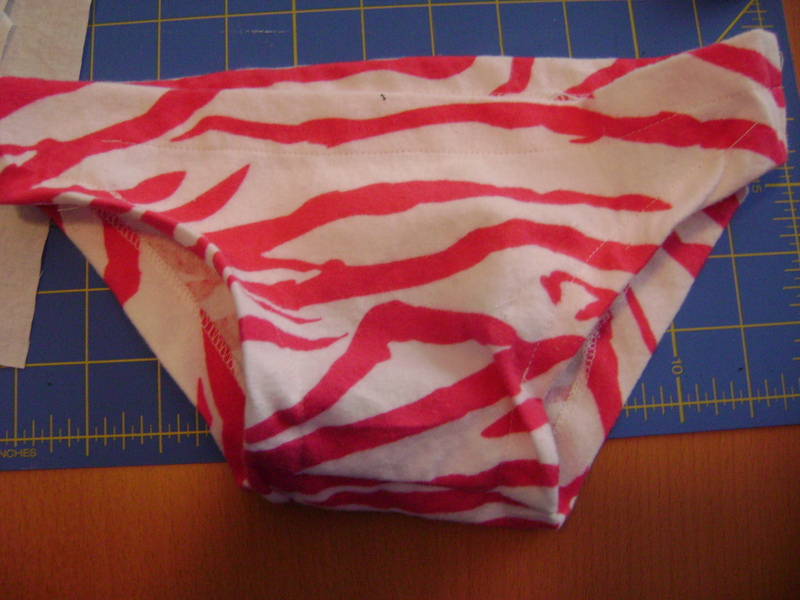 Here is the admittedly cute rear end with the elastic inserted. I recommend this project, but with the elastic insertion it just was not for me! 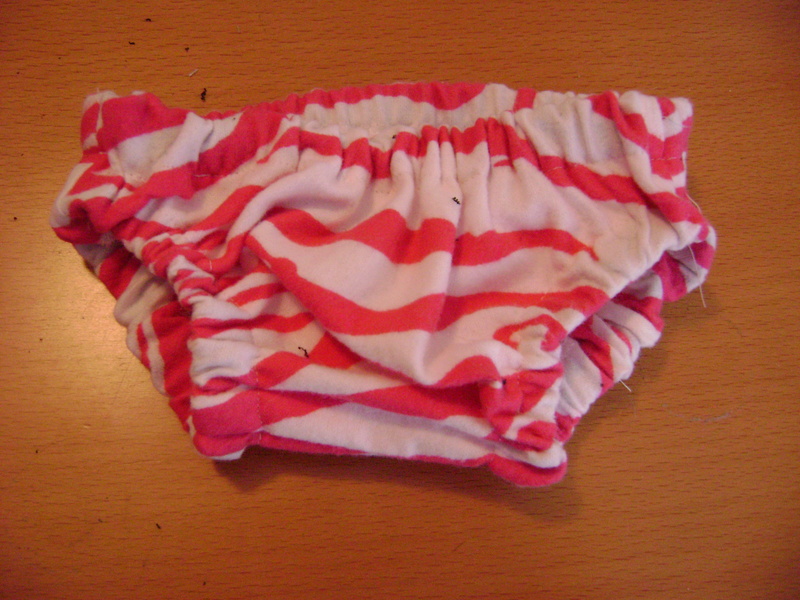 This entry was posted in Make for Baby, Project Tutorials, Sewing FYI and tagged baby gifts, diaper cover on April 14, 2012 by staciethinks.